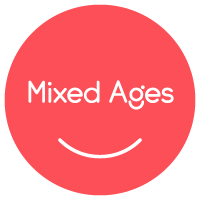 Mixed age classes are for children ages birth through 5 and their parents or caregivers. Each 45-minute class includes songs, rhythmic rhymes, movement, and instrument play. Infant Only classes are for first time Music Together® families and their babies birth through 8 months. Once you have completed a session in our infant class you will move into a mixed-age class. Infant Only classes are only offered periodically, but you may attend a mixed-age class with your baby at any time. Please contact us with questions regarding Infant Only class offerings. We have provided this free demo class so you can participate in a Music Together class before you enroll!